Last week the First District Appellate Court issued a decision entitled Country Club Estates Condominium Association v. Bayview Loan Servicing, LLC 2017 IL App (1st) 162459. The facts are fairly simple. Bayview acquired a condominium unit at a foreclosure sale in November 2014. Prior to that time the unit had accrued approximately $14,000 in unpaid monthly assessments due to the Association. The Association sent a thirty-day demand in or around March 2015 and thereafter the Association filed a forcible entry and detainer action seeking possession of the unit and $18,659.26 in unpaid assessments. Approximately two months after the lawsuit was filed, and seven months after Bayview acquired the unit, Bayview tendered to the Association a payment of $4,771.85 representing the assessments which accrued after the foreclosure sale. Bayview moved for summary judgment, which was granted. The basis for the ruling was that Bayview’s tender of the assessments that accrued after the foreclosure sale extinguished the Association’s lien for assessments that accrued prior to the foreclosure sale. The appellate court reversed and remanded the case to the trial court for further proceedings. In essence, the court held that a foreclosure buyer must make “prompt” payment of assessments after acquiring a condominium unit following a foreclosure sale. The appellate court then found that the seven-month delay from the time Bayview purchased the property at the foreclosure sale and the tender of assessments that accrued after the foreclosure sale was not prompt. The court examined the provisions of section 9(g)(3) of the Condominium Property Act, 765 ILCS 605/9(g)(3), and the recent Supreme Court case of 1010 Lakeshore Drive Association v Deutsche Bank National Trust Company, 2015 IL 118372. The 1010 Lakeshore Drive case did not specifically articulate what constituted the prompt payment of assessments but only that the payment of assessments after a foreclosure sale extinguished the pre-foreclosure assessment lien. However, the appellate court determined that in 1010 Lakeshore Drive, the Illinois Supreme Court acknowledged an implicit time requirement in section 9(g)(3) of the Condominium Property Act that gave foreclosure buyers an incentive to pay promptly. Here, while the appellate court held that in order to extinguish an association’s lien for pre-foreclosure sale assessments, the foreclosure buyer must make prompt payments, the appellate court did not specifically provide a rigid deadline or a bright line test as to what constitutes the prompt payment of assessments. The court did however hold that a seven-month delay subsequent to the acquisition of the property at a judicial sale did not constitute promptness. The ruling has a somewhat limited scope particularly where payments are made promptly and prior to the filing of a forcible entry and detainer action. Whether the payment promptness deadline is two months or six months is another factual determination to be made by the court. The appellate court also went on to say that there may be mitigating circumstances as to why these payments would not be made within a shorter period of time. 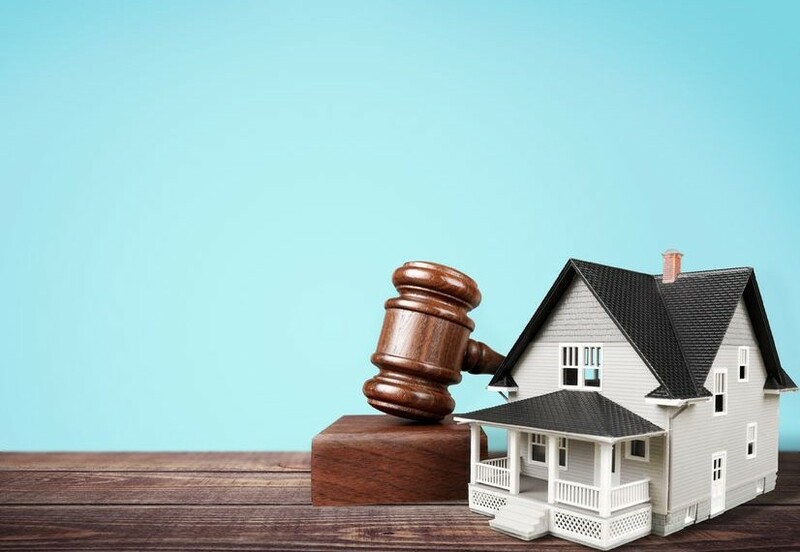 For example, in the instance where a foreclosure sale occurs months before the order confirming the sale is entered, and the foreclosure buyer pays the post-sale assessments shortly after confirmation, a court may deem such payment prompt. The case was remanded back to the trial court for the determination of whether there were any mitigating circumstances affecting the timeliness of the payments. As these matters continue to be litigated, it will be interesting to see how the courts define “promptness” under section 9(g)(3) of the Condominium Property Act and what factual scenarios will be deemed mitigating factors. Amendments to the Illinois Condominium Property Act (ILCPA) 765 ILCS 605/1 et seq. At Klein, Daday, Aretos and O’Donoghue, LLC, we offer wide-ranging expertise, total dedication, rapid responsiveness, and an aggressive approach to meeting our clients' needs. "Stephen Daday has represented our Bank for over 25 years. Stephen is an excellent attorney and I have personally worked with him for over 2 years. Stephen takes personal responsibility when I need assistance with the final outcome on the many issues pertaining to foreclosures. I trust Steve with every file that I send to him." No Attorney-Client Relationship Created by Use of this Website: Neither your receipt of information from this website, nor your use of this website to contact Klein, Daday, Aretos, & O'Donoghue, LLC or one of its attorneys creates an attorney-client relationship between you and KDAO. KDAO must investigate potential clients for existing conflicts of interest and a signed retainer agreement must be in place before an attorney-client relationship is created. You should not use this website to provide confidential information about yourself or a legal matter. No Legal Advice Intended: This website includes information about developments in the law and legal matters of interest to our attorneys. These materials are for informational purposes only and may be no longer current law. These informational materials are not intended, and should not be taken, as legal advice. You should contact an attorney for advice on specific legal problems. You should not act or refrain from acting based upon the contents of this website.